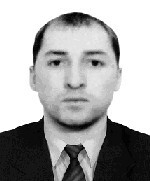 Kartoev Ahmed Mukhamedovich 1977. kidnapped in May, 22, 2007. On Tuesday,in May,22, 2007, at 10:00,not far from migration service building in Nazran town,some unknown persons kidnapped Ahmed Kartoev,born in 1977. According to the words of witnesses,the abductors were in minibus «Gazel»,white color,with licence number plates «486» 95 region,armed,masked and camouflaged. Ahmed Kartoev was occupied in trucking on the territory of Ingushetiya. Had a pending higher education and was a student of «economy and jurisprudence institute». As his acquaintances believe,Ahmed Kartoev can get in the field of special services vision in connection with his knowledge of Islam religion. Ahmed Kartoev graduated the egyptian international islamic university «Al-Azkhar». He was known as examplary moslem,honest,decent and quiet fellow. RI ministry of intenc affairs informed that he was not searched and did not get registered as suspicious one in militia. By some information, the abductors minibus «Gazel»kidnapped Ahmed Kartoev,headed for Magas.